The Common Core’s Standards for Mathematical Practice (SMP) describe what students at any grade level are doing as they learn mathematics. These eight practices provide a framework for strengthening the teaching and learning of mathematics. Educators can help their students develop the varieties of expertise described in the SMP by providing engaging, meaningful learning activities in the classroom. But what do the standards look like in a classroom? And how can teachers leverage these standards to guide their teaching? In this article, we will look at each standard and give some suggestions on how teachers can implement classroom activities that support and develop the standard and expertise. A way to help all students make sense of new mathematical tasks is by establishing clear learning goals for students. Both teachers and students should be able to articulate what skill is being learned, why it is important, how it relates to past learning in mathematics, and where these new mathematical ideas are going. Situating learning goals in mathematics supports students’ opportunities to build explicit connections, make sense of new mathematical problems, and persevere in solving them. Students are taught to persevere in problem solving when teachers, parents, and programs respond to a student’s successes and mistakes appropriately and allow students opportunities to redo math problems in a safe learning environment. For example, in the early-learner digital math program Blueprint, when students make a mistake, there is an invitation to look at the math problem again and have an opportunity to extend their learning. Students don’t hear a buzzer or receive negative feedback; instead, students are encouraged to complete the answer if it is partially correct, or they may be provided with scaffolded support before letting them try the problem again. Teachers can take this same approach in one-on-one interactions with students. Utilizing manipulatives and a variety of mathematical representations can help students bridge the gap from abstract to concrete. For example, students can use blocks, rulers, or scales to help make sense of abstract math concepts. Employing digital manipulatives, such as the area model tool in the digital math program Imagine Math, can help students decompose partial products by giving them an avenue to visually reason through more complex concepts. When students can break down intricate problems, such as multi-number multiplication problems, they are more able to grasp and reason through abstract information. Teachers can facilitate academic discourse in the classroom by giving students prompts such as, “Can you explain your thinking?” or, “Is there a more efficient way to get to that solution?” or, “Do you agree/disagree with (student X)’s reasoning? Explain why.” When students practice utilizing classroom conversations to explain their thinking, they develop the ability to reason at a deeper and more abstract level. 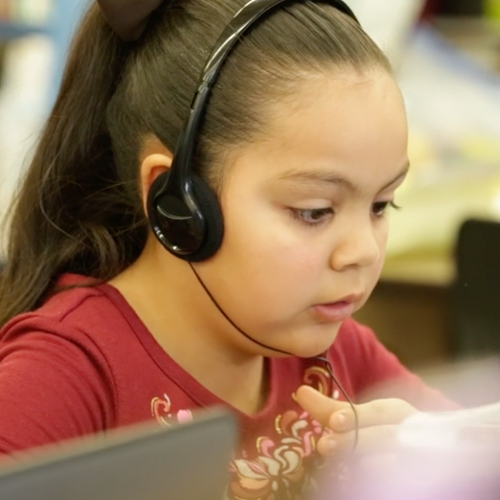 Imagine Math provides opportunities for academic discourse in the program’s Application Tasks that provide teachers with resources to support discourse in a blended learning environment. Teachers may also provide journaling opportunities—also available in Imagine Math—to give students the option to write about their math reasoning, encouraging deeper learning via written communication. Read more about incorporating academic discourse in mathematical instruction. This standard holds that students should be able to apply mathematical reasoning in real-world settings. Educators can teach through everyday problems that students may encounter to incorporate math strategies. For example, students may be asked to half the quantities in a recipe. Or students can be given the assignment to research prices for a grocery list, including computing taxes, coupons, and change from different cash payments. Students may also use tools, such as a number line or graph, to model how they work through their calculations. 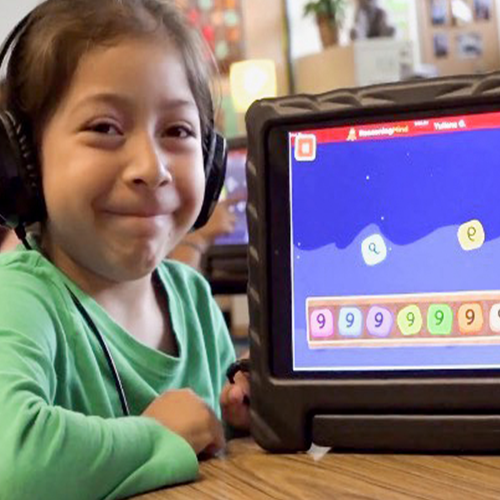 Digital education programs, such as Imagine Math and Blueprint, situate mathematical tasks in real-world settings to help students see mathematics is all around them. Blueprint is beautifully designed so that the mathematics learning takes place in context. Young children are exposed to mathematics through exploration and completing math lessons alongside character friends in the program. This helps students to see math as a part of their world instead of as an isolated subject. Students should be encouraged to purposefully select a representation or math tool that will best help them solve the problem they are working through. To ensure success with this skill, students must be provided with the appropriate tools and explicit instructions on how to use tools to solve their problem. For example, teachers may model for students how to measure the area of an object and then offer them a ruler, a calculator, or a protractor. Imagine Math supports this standard by providing students with multiple digital tools throughout the program. The guided learning sections in Imagine Math show students how math tools can be used in various mathematical scenarios. Students must then choose which tool will best assist them in solving their problem. Being successful in mathematics requires attention to detail and preciseness, whether that means checking answers more than once or copying down a problem accurately. Teachers should encourage students to take their time and check their work. Precision can also be applied to mathematical discourse and choosing not only precise calculations but also precise language to explain reasoning. When teachers intentionally plan how to orchestrate productive mathematics discussions students will grow mathematically in ways that are otherwise unlikely to take place. Students—in particular English learners—need to use mathematical vocabulary and practice articulating mathematical concepts to help them develop the language and concepts of mathematics. When students practice using precise language, mathematical concepts are better illuminated and misconceptions are minimized. A great resource for ideas on how teachers can plan for productive mathematical discussions in the classroom is 5 Practices for Orchestrating Productive Mathematics Discussion. Looking for patterns and connections is key as these patterns create structure that students can hang their hats on as a tool for problem solving. Students should be able to analyze a new problem and identify that the structure of the problem is similar to what they have solved before and be able to repeat what they’ve done in this new problem. Educators can point these problem structures out to students at all levels and encourage students to look for patterns in math. For example, early learners may note patterns in counting whole numbers, while elementary students may use the repeated patterns found in fact families for addition. This standard also encourages students to look for patterns and connections. Students who use this standard notice shortcuts and repeated calculations in general methods of solving mathematical problems. For example, students may notice that if they divide 25 by 11 it results in the same calculation over and over, which means they have found a repeating decimal. This requires attention to the process and details of problem solving, all while evaluating the reasonableness of their calculations. Again, teachers can make a point of noting these patterns and repetitions to students, helping them find time-saving strategies that occur regularly in math calculations. 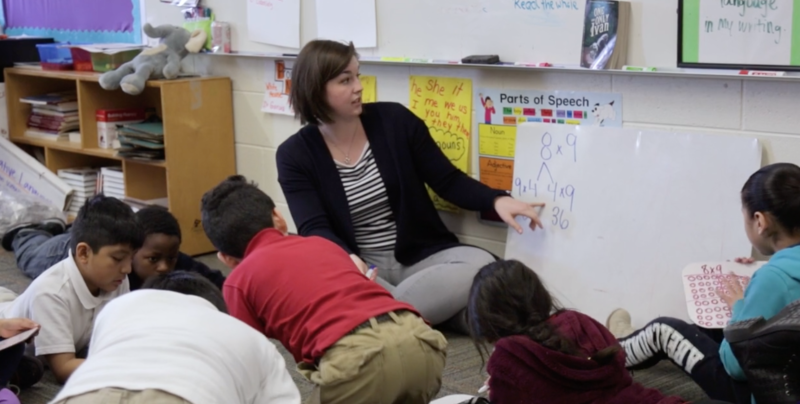 Incorporating Standards of Mathematical Practice into classroom instruction results in students who feel competent to solve—or attempt to solve—math problems with tools, strategies, and confidence in their abilities. As educators work to implement learning activities that support the standards in the classroom, students will be empowered with means and methods they need to succeed. Read more about how to help students overcome math anxiety to feel confident doing math.